Elegant white oriental lilies arranged with beautiful roses. 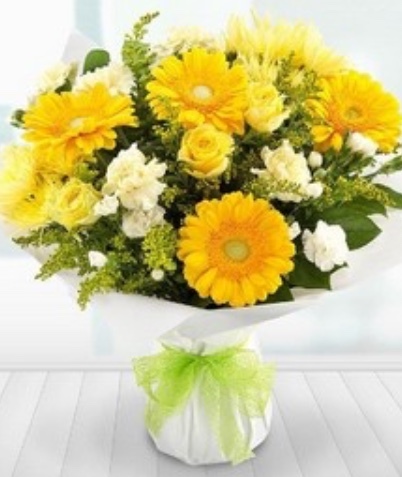 The white and yellow design has scented stocks as an extra optional touch. Other colour choices and sizes are available.